Morganfield, Kentucky native Kyle Griffin will kick off his professional baseball career in the Tri-state. Griffin has signed with the Evansville Otters. Griffin also played for the University of Southern Indiana, where he played for two seasons. 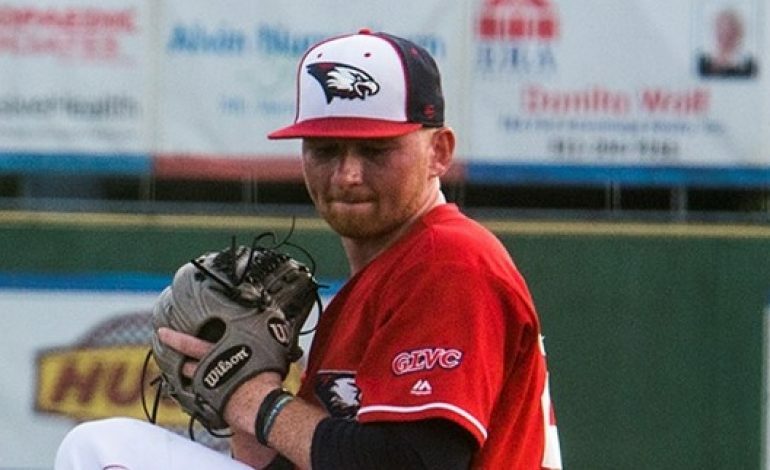 During the 2017-2018 season, Griffin set a USI single-season record with 100 strikeouts and appeared in 19 games, including 10 starts. He is also tied for fourth all-time at USI in strikeouts with 186. During the 2016-2017 season, Griffin recorded a 3.45 ERA in 13 starts and 73 innings pitched. He also set a USI single-season record with a team-best 86 strikeouts. He named the Great Lakes Valley Conference Pitcher of the Week twice. Before transferring to USI, Griffin spent two seasons at Wabash Valley College. He went 11-3 with a 1.74 ERA in 15 appearances as a sophomore, and made nine appearances as a freshman. Before returning to Indiana, he spent one season at the University of Houston, where he did not play.